Another ex-big city mayor is headed to federal prison. 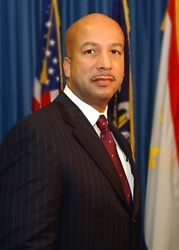 On Wednesday, C. Ray Nagin, the ex-mayor New Orleans was sentenced to 10 years in prison on corruption charges. He was convicted in February. Nagin was found guilty in February on 20 counts that included kickbacks from contractors seeking city work, the New York Times reported. The kickbacks came in cash and trips and other things of value. He was arrested in January 2013, nearly three years after he left office. Last year in Detroit, ex-Mayor Kwame Kilpatrick was hit with a harsh sentence of 28-years for bribery, kickbacks and tax related charges. Posted: 7/9/14 at 11:47 AM under News Story.